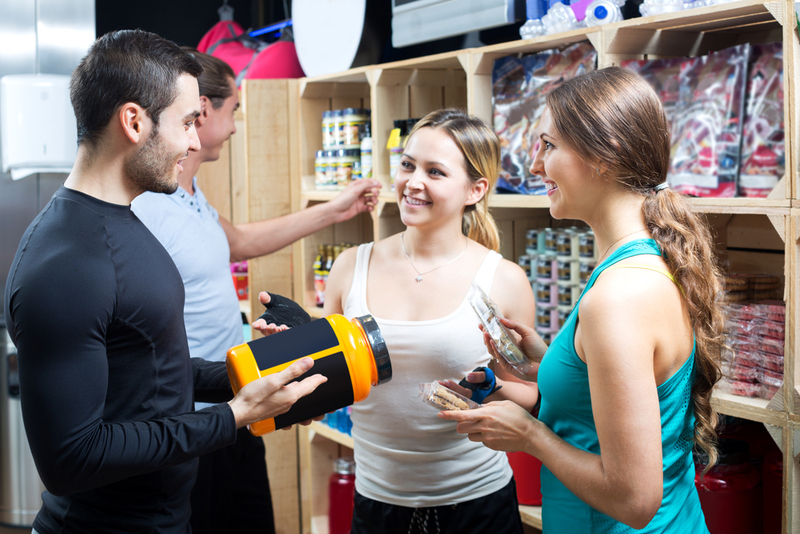 As a fitness center, you have a unique opportunity to provide targeted retail offerings for resale to your members. Offering retail provides additional streams of income that help your business become profitable and sustainable. With a deep understanding of your members, you can find items to resell in your facility that meets their needs, while increasing your income. When determining what to sell at your facility, find out what members want by sending out surveys, asking them in person and researching the competition. Common retail items include drinks, healthy snacks, supplements and vitamins. Those items generally come with strong wholesale to retail markups. Sometimes as high as 100%! Yes, your members still read. Selling both hardcopy and digital books can be a great source of income for your business. Purchase books wholesale to offer at your facility or become an online reseller or partner for digital copies. Sometimes, this is as simple as adding a link or advertisement to your website. If members use your link to purchase the book, your business receives a portion of that purchase, depending on your partner or reseller agreement. Whether muscle soreness or dry skin is your member’s complaint, offering lotion for resale is a simple addition to your income stream. In addition, offering other sundries such as shampoo, conditioner, soap, toothbrushes, hair ties and other personal care items helps your members skip that stop at the convenience store on the way home and provides them with critical items needed post-workout. Other sundry items might be ibuprofen, small hairbrushes and items that your members may not realize they want or need until they see them. Be observant of what your members forget to bring or are looking for when they are at the facility. As you listen to your members’ needs, develop a list of items that you can resell to meet those needs. Show your members that you care about their ability to achieve and maintain their fitness goals by offering equipment they can use in the facility and at home. Members purchasing and using their own equipment reduces demand for facility equipment during workouts, but also enables members to continue working on fitness goals at home. Small weights, lumbar rolls and mats are popular items that sell well in facilities and may be hard to find elsewhere. Start small to see how your members respond to your offerings, then add new products as demand increases. Brand yourself! Have your members do your advertising for you by selling branded clothing. Offering quality clothing to your members also keeps them in the facility and helps them find the right item for their activities. The most important thing about offering items for resale is knowing what your members will buy, and at what price. Pay attention to what members talk about and ask for while they are at your facility. Make purchasing these items easy by offering a way for them to purchase online or onsite at your location. As you gradually start to sell the retail items your members are interested in purchasing, your income stream will grow without having to invest too much money up front. Leave worries about membership dues collection behind you so you can focus on increasing your revenue stream with additional offerings. Learn more about AAC’s full service billing and payment processing for recurring membership dues. Contact AAC today.